Normally we bury cinema openings further down in the Daily, but this merits top billing. Back in January we wrote about how premium cinema operator ArcLight had set its sights on Los Angeles’ Santa Monica market and whether this would create a screen glut. Now news reaches us that ArcLight is already planning a second multiplex in downtown Santa Monica, which would include an Imax screen. ArcLight Cinemas is in negotiations with City Hall to put a theater on the land where Parking Structure 3 currently stands — on Fourth Street at Arizona Avenue, said Andy Agle, director of Housing and Economic Development. A preliminary agreement that would allow ArcLight to start drawing up official plans could go before City Council later this month. Meanwhile other cinemas in the area, such as Laemmle, are reducing seating capacity and expanding concessions and cafe areas instead. AMC is also expected to reduce the number of seats. Russia: Rather than introducing a quota on foreign films, as had been previously mooted, it looks like Russia will instead introduce a levy this summer. The government plans to popularize Russian films on the home market by introducing extra charges for Western movies and granting tax breaks to domestic ones may do no more than mildly handicap foreign competitors while failing to meet the industry’s underlying needs. Australia: Crowd-sourcing film selection will be one of the topics discussed at upcoming Australian cinema conference. Full conference program HERE. A US scheme which enables moviegoers to select a title from a library and organise a screening at a participating cinema, if sufficient people are willing to buy tickets, will be pitched to Australian exhibitors this month. The service named Tugg, which launched in the US in 2012, has amassed a library of more than 1,000 titles and last year organised screenings of more than 180 films in 300 cities. Imax: Motley Fool asks whether Imax shares are a good investment prospect. Despite a strong film line-up and aggressive international expansion the outlook is mixed. International expansion and a strong lineup of blockbuster releases are promising indicators for future revenue and profit growth at IMAX. But its still too early to tell how this movie will end. Germany: The annual German cinema trade show is underway in Baden Baden. It looks like an interesting programme. The keynote from Thomas Negel urges the exhibitors not to fight the battles of yesterday – VoD is coming, so be prepared! To enhance the entertainment experience, Dolby Laboratories plans to install its latest technology — Dolby Atmos — in 75 screens across the country by the year-end. And this article details how Dolby went about wooing the Indian film and cinema industry. For Dolby, having Bollywood and other regional movie industries move from the 5.1 and 7.1 surround sound standard is a daunting task. It has to convince the entire chain: production houses, directors, sound designers as well as theatre owners. Australia: Deaf cinema patrons (and TV viewers) are consumers too, so making captions for them should be a no-brainer. Advertising technology company Adstream has engaged a company to add captions to all of its TV and cinema ads in Australia. Captioning and Subtitling International (CSI), part of media and entertainment services company Deluxe, has started captioning all of the TV and cinema commercials distributed by Adstream Sydney. 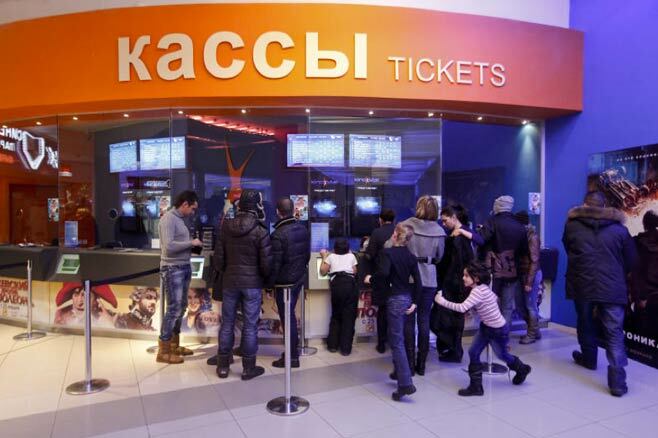 Russia: We had already reported on this earlier, but several cinemas in Novosibirsk have now been convicted for showing The Wolf of Wall Street. An appeal is likely. Five movie theater chains have been fined a total of 4 million rubles ($113,328) for showing the Hollywood blockbuster “The Wolf of Wall Street,” which the central court of Novosibirsk deemed to be propagandizing narcotics use. USA (NC): The Carmike Westgate Twin Cinema in Lenoir, NC was held up at gunpoint this past Monday. Fortunately nobody got hurt. The armed robbery happened about 10:15 p.m. Monday at the theater, located at 1966 Morganton Blvd., according to information from the Lenoir Police Department. Germany: Cine-Star has launched a dedicated iPhone app in Germany, but it gets a distinctly mixed review for ticket booking handling. Browse to the CineStar app is okay, but unfortunately not to use for ticket bookings. Here it makes the UCI ( App Store link ) is significantly better (even if not everything is adapted to iOS 7). Bookings are made directly optimized in the app, also the ticket can be stored in Passbook, so you must not be available at the box office, yet print the ticket at home or pick them up at a local switches must – just great. NAB/Las Vegas: Qube Cinema is launching its cloub-based KDM service at NAB. 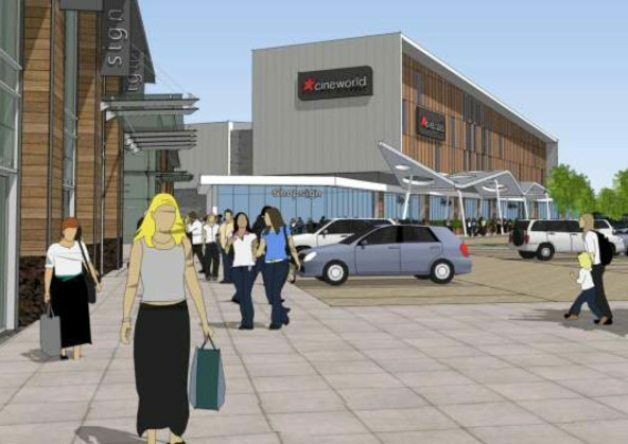 UK: Eastbourne is set to get a nine-screen multiplex as part of the re-vamp of its shopping centre. No news on who will run it. 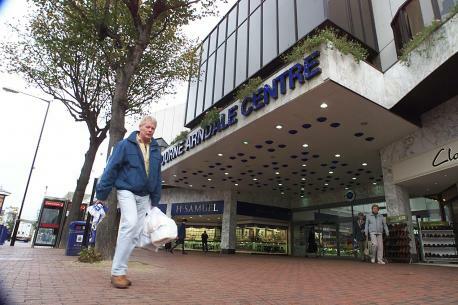 The £85 million extension of Eastbourne Arndale Centre is on top of existing plans for around 23 new stores and extra car parking spaces. USA (NJ): Jersey City Planning board has amended the McGinley Square East Rehabilitation Area plan, enabling Saint Peter’s University to increase its planned building by 100 feet to better include a cinema. Inside would be a grand lobby for a 13-screen cinema on the second floor. The floors above would include areas of apartments and a dorm area. On the 20th floor would be two penthouse restaurants with 20-foot glass windows facing Manhattan. It would have a rooftop swimming pool, Saint Peters officials said. 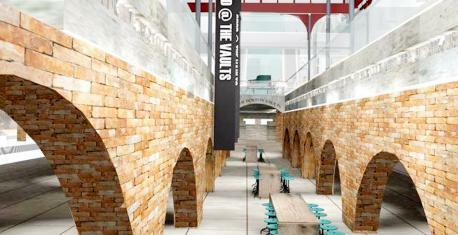 UK: Bolton is set to get a nine-screen underground cinema in The Vaults. No word on the operator. THE transformation of Bolton’s Market Place by creating a subterranean complex of restaurants and bars as well as a nine-screen cinema has begun. Canada: Cineplex is opening its sixth theatre in Edmonton. 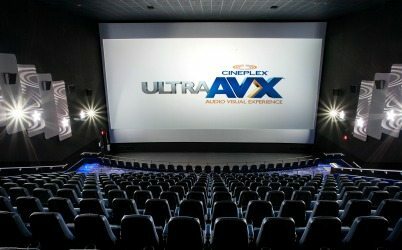 When it opens on Friday, Cineplex Cinemas Manning Town Centre at 153rd Avenue and Manning Drive will offer 10 auditoriums, including one UltraAVX room. The company says UltraAVX auditoriums are wall-to-wall-screen formats with reserved seating and premium sound, sharpness and 3-D capability. 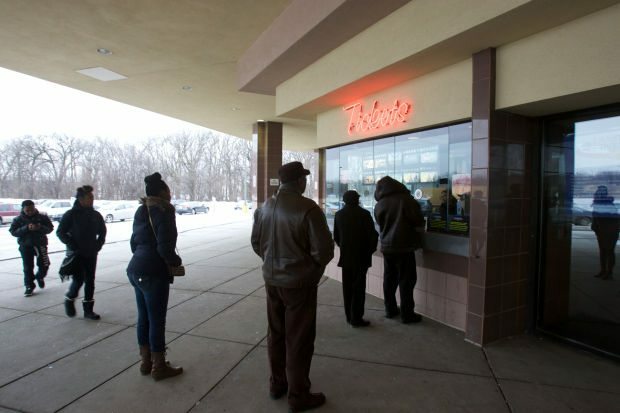 USA (IL): Digital Cinema Destinations Corp. has acquired its first cinema in the Chicago area. A new owner has reached an agreement to buy the Lansing Cinema 8 multiplex, and plans to transform it from a movie theater to a destination that regularly shows live sports, opera and other special events. UK: A former colleague asked me yesterday if I knew how much multiplexes cost to build on a per-screen basis. According to this nine-screen Cineworld news from Portsmouth’s Whiteley complex it would appear to be GBP £1.72 million per screen. ‘It will be finished in about March 2015 and then the rest of it in the summer will be the internal fit-out. 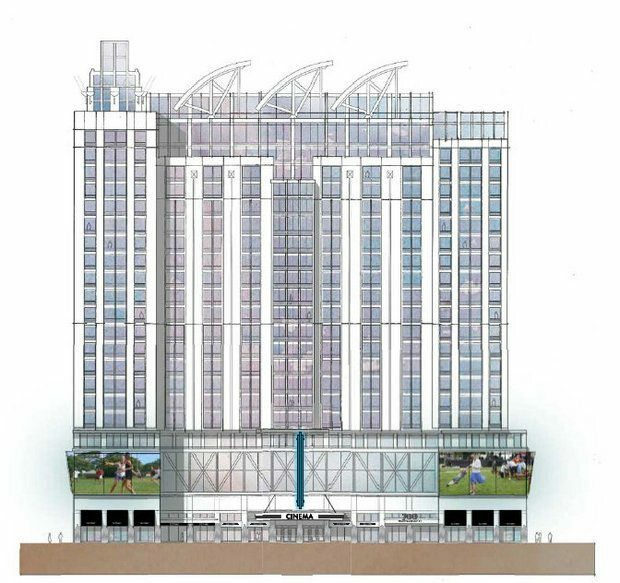 Cllr Evans heard from British Land and the firm’s construction company about the £15.5m project last night. India: Hydrabad-based exhibitor Asian Cinemas is opening tow multiplexes this year. V.V.Vinayak, Hero Nithin and Samantha will open the Asian GPR multiplex with three screens at Kukatpally on 10th April between 7.30 am and 8.30 am. This multiplex will have a seater arrangement of about 1143 and various food courts will be available for refreshment. The rates are affordable to even the middle class people. The Asian Cine Square multiplex at Uppal, which is equipped with 5 screens and 1528 seats, will be opened by the Race Gurram team, which includes Allu Arjun, Surender Reddy and SS Thaman . Ex.MLA Raja Reddy and Corporator Suguna will open two of the screens . Mom, what is that man in the back row doing? 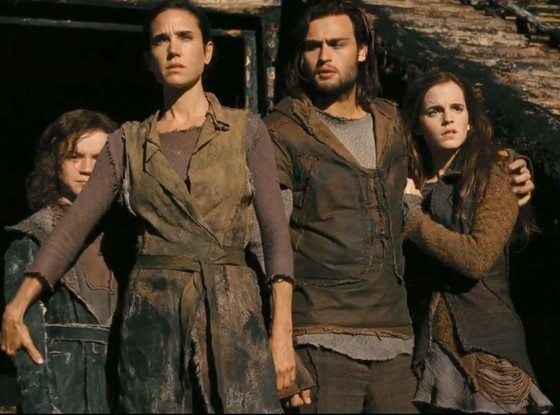 A drunk man was caught masturbating and shouting obscenities during a screening of Noah in an Australian cinema. Apparently not the first time he’s been caught doing this, so no bail. Daniel Carl Austin, 29, fronted the Brisbane Magistrates Court from behind the glass prisoner’s dock after his arrest late on Tuesday for wilful exposure and being a public nuisance at the South Bank Cineplex.